Posted by rogerhollander in Israel, Gaza & Middle East, Nuclear weapons/power. Roger’s note: the hypocrisy is blatant, but you won’t read about it in the New York Times. The UN nuclear agency crushed an effort of Arab states to reign in nuclear Israel, rejecting a non-binding resolution on Friday that would have compelled Israel to join the nuclear non-proliferation treaty and place its arsenal under International Atomic Energy Agency supervision. “Israel has once again become the exception to international norms to reduce the potential of nuclear war and reduce nuclear weapons,” Deborah Agre from the Middle East Children’s Alliance told Common Dreams. The “Israeli Nuclear Capabilities” measure, backed by Iran, was brought by a coalition of Arab states frustrated over the postponement of an international conference on creating a nuclear-free Middle East. The measure, which was vigorously opposed by the U.S., was voted down at the IAEA meeting, with 51 countries voting against and 43 in favor. The defeat of the resolution was broadly reported in the media as a triumph of the West over efforts to “single out” Israel. The backers of the resolution were publicly shamed by several Western powers, including the U.S. and Israel, for even bringing such a measure to the table. Israel is broadly known to be the only country in the Middle East to possess nuclear weapons and has been widely criticized for obstructing efforts to demilitarize the region. Roger’s note: I read this last night, and was not able to get to sleep. I apologize for sharing this nightmare with you, but I think it is something we need to think about. I think it was the Russian playwright, Chekhov, who said that if a fire arm is introduced in the first act, then it is sure to go off in the third act. The nuclear pistol was both introduced and fired in the first act at Hiroshima and Nagasaki. We have been waiting nervously since 1945 for the tragic third act. What scares me is the almost certainty that with all those tens of thousands of nuclear warheads laying around, the chance that one will either go of intentionally or accidentally is too scary to imagine. Just another one of those inconvenient truths that we ignore at our peril. Now with respect to the insanity of it. If one of today’s nuclear has the destructive power of 600 Hiroshima bombs, why would any nation need over ten thousand, the way the U.S and Russia do? And how much safer are we if they are reduced down to 1500? The only sane world will be one where there is total nuclear disarmament. I have not mentioned the obscene cost of maintaining a nuclear armory. See graph below. Thirty-three years ago to the day, the United States narrowly missed a nuclear holocaust on its soil. The so-called “Damascus Accident” involved a Titan II intercontinental ballistic missile mishap at a launch complex outside Damascus, Arkansas. During a routine maintenance procedure, a young worker accidentally dropped a nine-pound tool in the silo, piercing the missile’s skin and causing a major leak of flammable rocket fuel. Sitting on top of that Titan 2 was the most powerful thermonuclear warhead ever deployed on an American missile. 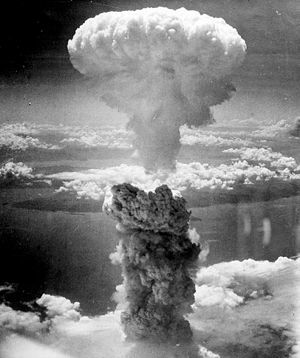 The weapon was about 600 times more powerful than the bomb that destroyed Hiroshima. For the next nine hours, a group of airmen put themselves at grave risk to save the missile and prevent a massive explosion that would’ve caused incalculable damage. The story is detailed in Eric Schlosser’s new book, “Command and Control: Nuclear Weapons, the Damascus Accident, and the Illusion of Safety,” which explores how often the United States has come within a hair’s breadth of a domestic nuclear detonation or an accidental war. Drawing on thousands of pages of recently declassified government documents and interviews with scores of military personnel and nuclear scientists, Schlosser shows that America’s nuclear weapons pose a grave risk to humankind. NERMEEN SHAIKH: Thirty-three years ago today, the United States narrowly missed a nuclear holocaust on his soil that would have dwarfed the horrors of the Hiroshima bomb blast that killed approximately 140,000 people. The so-called Damascus accident involved a Titan II intercontinental ballistic missile mishap at a launch conflict outside Damascus, Arkansas. During a routine maintenance procedure, a young worker accidentally dropped a nine pound tool in the silo, piercing the missile skin and causing a major leak of flammable rocket fuel. Sitting on top of that Titan II was the most powerful thermonuclear warhead ever deployed on an American missile. The weapon was about 600 times more powerful than the bomb that destroyed Hiroshima. For the next nine hours, a group of airmen put themselves at grave risk to save the missile and prevent a massive explosion that would’ve caused incalculable damage. AMY GOODMAN: To find out what happened next, we turn to a shocking new book called, “Command and Control: Nuclear Weapons, the Damascus Accident and the Illusion of Safety.” In it, author Eric Schlosser reveals how often the United States has come within a hairs breath of a domestic nuclear detonation or an accidental war. Drawing on thousands of pages of recently declassified government documents and interviews with scores of military personnel and nuclear scientists, Schlosser shows that America’s nuclear weapons pose a grave risk to human kind. We are joined by Eric Schlosser, author of a number of books, including the best-selling “Fast Food Nation.” Welcome to Democracy Now! So, talk about that story 33 years ago today. ERIC SCHLOSSER: Thirty-three years ago, during a routine maintenance procedure, a tool was dropped and it set in motion events that could have led to the destruction of the state of Arkansas and it just so happened that Bill Clinton was the governor at the time. Vice President Mondale was in the state at the time. And it is one of those events that literally could have changed the course of history. So, the book is a minute by minute account of this nuclear weapons accident. It’s unfolding, but I use that narrative as a way to look at the management of our nuclear weapons really from the dawn of the nuclear era to this day. A great deal has been in the media lately about Pakistani nuclear program, India nuclear program, Iran’s, but not enough attention has been paid to our own and the problems that we have had in the management of our nuclear weapons. And it’s a subject that I think is really, really urgent. It’s interesting, as I was watching Bill McKibben, who I consider a true American hero, and I was just seeing the title of the show, Democracy Now, the whole system of managing nuclear weapons is an inherently authoritarian. And if you look at the kind of secrecy that we have now in this country, and the national security state, it all stems from the development of the atomic bomb, the secrecy around it, and the real point of this book is to provide information to Americans that the government has worked very hard to suppress, to deny an enormous amount of disinformation and misinformation about our weapons program. NERMEEN SHAIKH: You also point out, Eric Schlosser, that there is a link between the amount of secrecy around nuclear weapons and the level of their and un-safety. Could you elaborate? Could you explain why that is the case? ERIC SCHLOSSER: During the Cold War, and to a certain extent, today, there was such intense compartmentalized secrecy within the government, that for example, the engineers and physicists who were designing the weapons weren’t allowed to know how the weapons were being used in the field. And the Air Force and Navy and Army personnel who were handling nuclear weapons didn’t know about the safety problems or safety issues that the designers knew. One of the people I write about in the book is an engineer named Robert Peurifoy who rose to be a vice president at the Sandia National Laboratory, and is a remarkable man who realized that our weapons might be unsafe and pose a threat of accidental detonation. Again, in the book, I go through a number of instances that we almost had American weapons detonate on American soil. So, I write about his effort to bring modern safety devices to our nuclear weapons. Through the Freedom of Information Act, I was able to get about a 250 page document that listed all these different accidents, mistakes, short-circuits, fires involving nuclear weapons, and I showed it to him, and he had never seen it. This is somebody who were decades was at the heart of our nuclear weapons establishment. So, the secrecy was so intense, that the Air Force wasn’t telling the weapons designers problems that they were having in the field. AMY GOODMAN: Tell us some of those accidents, some of those near misses and how things are being handled today. ERIC SCHLOSSER: Yeah, I mean, one of the most significant near misses occurred just three days after John F. Kennedy was inaugurated. A B-52 bomber broke apart in the sky over North Carolina, and as it was breaking apart, the centrifugal forces affecting the plane pulled a lanyard in the cockpit, which released one of the hydrogen bombs that it was carrying. And the weapon behaved as though it had been released over the Soviet Union, over an enemy target deliberately. It went through all of its arming stages, except one. There was one switch that prevented it from detonating in North Carolina. And that switch, later, was found to be defective and would never be put into a plane today. Straight electricity in the bomber as it was disintegrating could have detonated the bomb. AMY GOODMAN: What are some of the more recent ones? ERIC SCHLOSSER: Well, just this summer, two of our three Minutemen missile wings were cited for safety violations. A few years ago, the Air Force’s largest storage facility for nuclear weapons, the group that ran it was de-certified for safety violations. And one of the more concerning things right now, this sounds like a Hollywood movie, is the potential vulnerability of our nuclear command and control system being hacked to cyber attack. The Defense Science Board put out a report this year that the vulnerability of our command and control system to hacking has never been fully assessed. There were Senate hearings on the spring that didn’t get very much attention, but in 2010, 50 of our missiles suddenly went off-line and the launch control centers were unable to communicate with them for an hour. It would later turn out to be one computer chip was improperly installed in a processor, but what we have seen with Snowden and a relatively low level private contractor able to obtain the top secrets of the most secret intelligence agency, the cryptography and some of the code management of our nuclear weapons, is being done by private contractors. AMY GOODMAN: Who is doing it? ERIC SCHLOSSER: I think Boeing is doing some of it. And again, they may be doing a wonderful job, but when you’re talking about nuclear weapons, there is no margin for error. If you managed nuclear weapons successfully for 40 years, that is terrific. But if you make one severe error and one of these things detonate, the consequences are going to be unimaginable. NERMEEN SHAIKH: You’ve also said that the command-and-control structure system in place for nuclear weapons has actually weakened since the end of the Cold War. Is that right? ERIC SCHLOSSER: One of the things that has happened and one of the problems the Air Force is having is once the Cold War ended — and during the Cold War, having control of nuclear weapons was a high prestige occupation in the Air Force and the Navy, but since the Cold War, it has been seen as a career dead-end. So, there have been all kinds of management issues, underinvestment — and I’m not saying we should be building hundreds and hundreds of new bombers or — but if you’re going to have nuclear weapons, no expense should be spared in the proper management. AMY GOODMAN: How many do we have? ERIC SCHLOSSER: And what I was going to say was, some of the systems we have right now are 30, 40 years old. We’re still relying on B-52 bombers as our main nuclear bomber. Those are 60 years old. They haven’t built one since the Kennedy administration. The Titan II missile that I write about it some length in my book, one of the problems and one of the causes of the accident was that it was an obsolete weapon system. Secretary of Defense McNamara had wanted to retire it in the mid-1960s and it was still on alert in the 1980s. 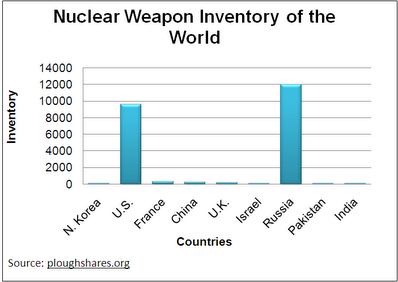 And again with nuclear weapons, the margin of error is very, very small. AMY GOODMAN: Let’s go to President Obama in June. He was speaking in Berlin, in Germany, and called for nuclear reductions. PRESIDENT OBAMA: Peace with justice means pursuing the security of a world without nuclear weapons, no matter how distant that dream may be. And so, as president, I strengthen our efforts to stop the spread of nuclear weapons and reduce the number and role of America’s nuclear weapons. Because of the New Start Treaty, we are on track to cut American and Russian deployed nuclear warheads to their lowest levels since the 1950s. AMY GOODMAN: That was president Obama speaking in Berlin in June. Shortly afterwards, Fox News contributor, Charles Krauthammer, criticized Obama for discussing nuclear arms reduction. CHARLES KRAUTHAMMER: The idea that we’re going to be any safer if we have 1000 rather than 1500 warheads is absurd, so why is he doing this? Number one, he has been obsessed with nuclear weapons and reducing them ever since he was a student at Columbia and thought the freeze, which was the stupidest strategic idea of the 1980s, wasn’t enough of a reduction, and second, because I think that is all he has got. AMY GOODMAN: That was Charles Krauthammer on Fox. Eric Schlosser? ERIC SCHLOSSER: I think that given his record on the Iraq war, nothing he says should be taken seriously. The fact of the matter is, every nuclear weapon is an accident waiting to happen or a potential act of mass murder. The fewer nuclear weapons there are, the less likely there is to be a disaster. I think that President Obama on this issue has been quite courageous in calling for the abolition of nuclear weapons. It’s something that presidents have sought in one way or another since the end of the Second World War. I think that it is urgent that there be real arms control and reduction, not just of our arsenal, but of worldwide arsenals of nuclear weapons. NERMEEN SHAIKH: I want to turn to a video released by anti-nuclear weapons group, Global Zero, that shows many members of Congress don’t even know how many nuclear weapons the United States has. Here members of Global Zero approach Republican Representative Morgan Griffith of Virginia, Republican Representative Blaine Luetkemeyer of Missouri, Republican Representative Rob Wittman of Virginia, and Democratic Representative Pedro Pierluisi of Puerto Rico, Republican Representative Duncan Hunter of California, Republican Representative Mark Amodei of Nevada and Republican Representative Bill Flores of Texas. GLOBAL ZERO INTERVIEWER: Do you happen to know roughly know how many nuclear weapons we do have? REP. ROB WITTMAN: The current arsenal, I don’t have an exact number. REP. DUNCAN HUNTER: My understanding is it’s about 300. REP. PEDRO PIERLUISI: No, no, it is much more than that. GLOBAL ZERO INTERVIEWER: It’s more than 15,000? REP. PEDRO PIERLUISI: In terms of nuclear heads? Of course. GLOBAL ZERO INTERVIEWER: More than 15,000? Really? REP. PEDRO PIERLUISI: Well, I don’t know. GLOBAL ZERO INTERVIEWER: Do you have any idea about how many nuclear weapons we have? REP. MARK AMODEI: Nope, not the exact number. REP. BILL FLORES: It changes every day. NERMEEN SHAIKH: According to the group, Global Zero, more than 70 members of Congress were polled and more than 99% of them did not know, even roughly speaking, how many nuclear weapons the United States has. Eric Schlosser, your remarks on that? AMY GOODMAN: And where are they? ERIC SCHLOSSER: … in reserve. They’re mainly on our nuclear submarines that are at sea. We have 450 strategic land-based missiles that are in the northern Midwest. But it is important to keep in mind that there is grounds for optimism. At the height of the Cold War, the United States had 32,000 nuclear weapons and the Soviet Union had 35,000. So right now, the number of weapons that both the Soviet Union and the United States have on alert ready to be launched combined is maybe 2000, 2500. So, to go from 60,000 to 2,500, you know 8,000 to 10,000, is a huge achievement; but there need to be much greater reductions. AMY GOODMAN: Is there a possibility of a domestic Stuxnet, you know like the U.S. released against Iran, a virus that would affect command and control? ERIC SCHLOSSER: It is a great concern. These weapons are not connected to the internet, but there are command information systems that run software. During the Cold War, Zbigniew Brezinski was woken up in the middle of the night. He was National Security Adviser. He was told the United States was under attack. He got another call and was basically preparing to call President Carter and advise a retaliation. It turned out that there was a faulty computer chip in the NORAD computers that was saying that Soviet missiles were coming toward the United States and they weren’t. So, as long as you have a weapons stance in which we need to be able to retaliate immediately, it puts enormous pressure on acting quickly and there’s are all kinds of possibilities for error. ERIC SCHLOSSER: I think firstly, the reason that I wrote the book, is in a democracy these sort of decisions need to be debated by the American people. And really, since 1944 or 1945, fundamental decisions about nuclear weapons have been made by a small group of policy makers acting in secret. So firstly we need openness, secondly we need a debate, and thirdly we need fewer nuclear weapons much more carefully managed, not only in this country, but in every country. AMY GOODMAN: Eric Schlosser, we want to thank you for being with us. “Command and Control: Nuclear Weapons, the Damascus Accident and the Illusion of Safety” is the book. It has just come out. Posted by rogerhollander in Civil Liberties, Criminal Justice, Democracy, Nuclear weapons/power, Peace, War. Roger’s note: if this doesn’t send a chill up the spine of anyone with spine enough to peacefully challenge US war mongering, then I don’t know what will. This case is Lewis Carroll, Orwell and Kafka rolled up into one. Don’t fail to realize that this is happening under a president who was awarded the Nobel Peace Prize. The trial was held in Knoxville in early May 2012. The three peace activists were convicted on all counts. Rice, Boertje-Obed, and Walli all took the stand, admitted what they had done, and explained why they did it. The federal manager of Y-12 said the protestors had damaged the credibility of the site in the U.S. and globally and even claimed that their acts had an impact on nuclear deterrence. 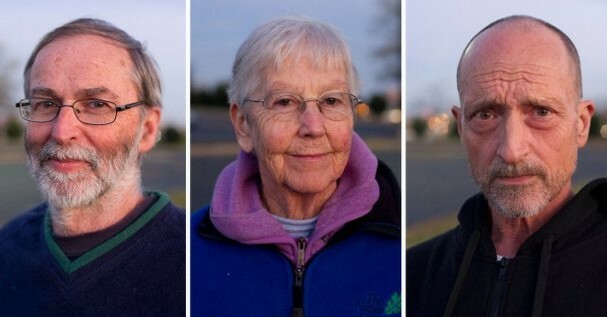 These non-violent peace activists now sit in jail as federal prisoners, awaiting their sentencing on September 23, 2012. Quigley is an Indianapolis attorney working on local and international poverty issues. His column appears in The Indianapolis Star every other Monday. Roger’s note: when I was a small child I was afraid of the dark, and the only way I could peacefully fall asleep was to pull my blanket over my head. Somehow, irrationally, it made me feel safe from whatever out there I was afraid of. As you will read in the article posted below, “out there” are 20,000 nuclear warheads in the hands of the governments of nine nations, some less stable than others. Enough nuclear power to blow our planet to bits a number of time. Why am I calling this to your attention? Actually, I am not sure. It just seems to me that a strategy more practical than pulling a blanket of our collective heads is called for. And good luck in getting to sleep tonight. There was a time when nuclear weapons were a significant part of our national conversation. Addressing the issue of potential atomic annihilation was once described by nuclear theorist Herman Kahn as “thinking about the unthinkable,” but that didn’t keep us from thinking, talking, fantasizing, and worrying about it, or putting images of possible nuclear nightmares (often transmuted to invading aliens or outer space) endlessly on screen. 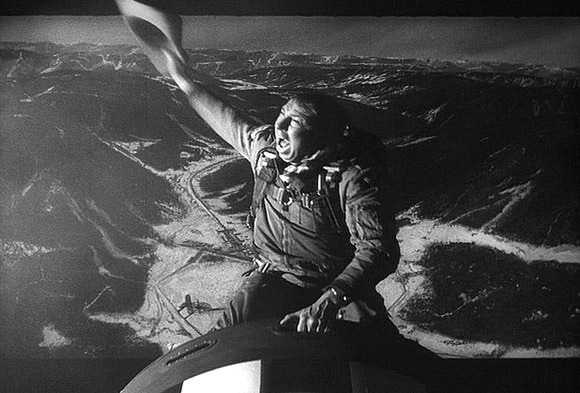 Popular films like Fail-Safe and Dr. Strangelove captured both the dangers and the absurdity of the superpower arms race. And when, on the night of October 22, 1962, Kennedy took to the airwaves to warn the American people that a Cuban missile crisis was underway, that it was nuclear in nature, and that a Soviet nuclear attack and a “full retaliatory strike on the Soviet Union” were possibilities — arguably the closest we have come to a global nuclear war — it certainly got everyone’s attention. The collapse of the Soviet Union and the end of that planetary superpower rivalry less than a decade later took nuclear weapons out of the news. After all, with the Cold War over and no other rivals to the United States, who needed such weaponry or a MAD world, either? 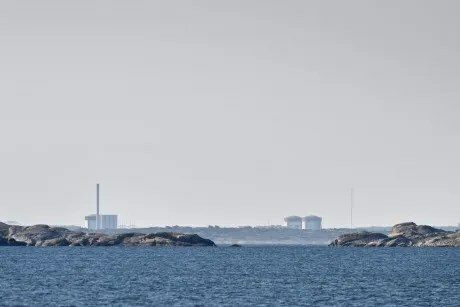 The only problem was that the global nuclear landscape was left more or less intact, mission-less but largely untouched (with the proliferation of the weapons to other countries ongoing). Unacknowledged as it may be, in some sense MAD still exists, even if we prefer to pretend that it doesn’t. More than 20 years later, the only nuclear issue considered worth the bother is stopping the spread of the bomb to a couple of admittedly scary and problematic regimes: Iran and North Korea. Their nuclear efforts regularly make the news and garner attention (to the point of obsession) in media and government circles. But remind me: When was the last time you read about what should be the ultimate (and obvious) goal — getting rid of nuclear weapons altogether? This has been our reality, despite President Obama’s pledge in Prague back in 2009 to seek “the peace and security of a world without nuclear weapons,” and the passage of a modest but important New START arms-reduction treaty between the United States and Russia in 2010. It remains our reality, despite a dawning realization in budget-anxious Washington that we may no longer be able to afford to throw money (as presently planned) at nuclear projects ranging from new ballistic-missile submarines to new facilities for building nuclear warhead components — all of which are slated to keep the secret global nuclear arms race alive and well decades into the future. If Iran is worth talking about — and it is, given the implications of an Iranian bomb for further nuclear proliferation in the Middle East — what about the arsenals of the actual nuclear states? What about Pakistan, a destabilizing country which has at least 110 nuclear warheads and counting, and which continues to view India as its primary adversary despite U.S. efforts to get it to focus on al Qaida and the Taliban? What about India’s roughly 100 nuclear warheads, meant to send a message not just to Pakistan but to neighboring China as well? And will China hold pat at 240 or so nuclear weapons in the face of U.S. nuclear modernization efforts and plans to surround it with missile defense systems that could, in theory if not practice, blunt China’s nuclear deterrent force? The last serious effort – centered on the contentious issue of Kashmir — reached its high point in 2007 under the regime of Pakistani autocrat Pervez Musharraf, and it went awry in the wake of political changes within his country and Pakistani-backed terrorist attacks on India. If anything, the tensions now being generated by U.S. drone strikes in Pakistan’s tribal borderlands and other affronts, intended or not, to Pakistan’s sovereignty have undermined any possibility of Washington brokering a rapprochement between Pakistan and India. Ever since Ronald Reagan — egged on by mad scientists like Edward Teller and right-wing zealots like Lt. Gen. Daniel O. Graham – pledged to build a perfect anti-nuclear shield that would render nuclear weapons “impotent and obsolete,” missile defense has had a powerful domestic constituency in the United States. This has been the case despite the huge cost and high-profile failures of various iterations of the missile defense concept. In his 1960s ode to nuclear proliferation, “Who’s Next?” Tom Lehrer included the line “Israel’s getting tense, wants one in self-defense.” In fact, Israel was the first — and for now the only — Middle Eastern nation to get the bomb, with reports that it can deliver a nuclear warhead not only from land-based missiles but also via cruise missiles launched from nuclear submarines. Whatever it may say about Israel’s technical capabilities in the military field, Israel’s nuclear arsenal may also be undermining its defense, particularly if it helps spur Iran to build its own nukes. And irresponsible talk by some Israeli officials about attacking Iran only increases the chance that Tehran will decide to go nuclear. It is hard to handicap the grim, “unthinkable,” but hardly inconceivable prospect that August 9, 1945, will not prove to be the last time that nuclear weapons are used on this planet. Perhaps some of the loose nuclear materials or inadequately guarded nuclear weapons littering the globe — particularly, but not solely, in the states of the former Soviet Union — might fall into the hands of a terrorist group. Perhaps an Islamic fundamentalist government will seize power in Pakistan and go a step too far in nuclear brinkmanship with India over Kashmir. 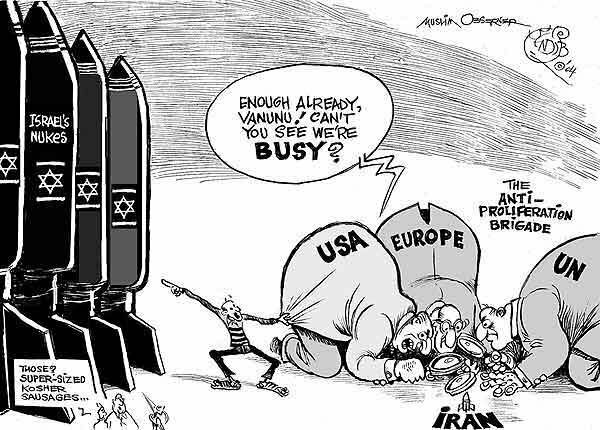 Maybe the Israeli leadership will strike out at Iran with nuclear weapons in an effort to keep Tehran from going nuclear. Maybe there will be a miscommunication or false alarm that will result in the United States or Russia launching one of their nuclear weapons that are still in Cold War-style, hair-trigger mode.